Phew... I thought I pressed something wrongly. So, yay... 2 days of freshmeat. I dont know why or how but I seem to get better results on weekends or with free premiums. I guess I am one of the noobs but a better one... And also on the side that players are always complaining about. Hordes of bad players that usually spawn in premium time or in x2, x3, or x5 XP times. (aka noobs or idiots). It is giving out rewards for completing missions. I know many will complain about the amount of rewards given out. I too fumed when I first saw the rewards, then I gave careful thought and changed my mind. Please spare a thought and be undrstding. WOT is giving out without charging a single credit. So imagine the thousands of players completing missions here and there. Assuming 20,000-30,000 players complete one single mission each and WOT is giving out one single credit for each mission.... Wow, if WOT is not generous.....??? I put out a question, which complaining player wants to sponsor just 1% of the freebies? I will be very interested to know. Disclaimer... I dont work for WOT and I dont receive any rewards of any kind from WOT whether it is monetary or non-monetary. There must be some sort of Reward for you Ronemok! Otherwise you wouldn't keep playing it. :-) I get WOT are not asking to aknowledge their generosity as you see it. There is something called "opportunity cost", the 'could have been profit if I had managed to sell it'. So WOT will not necessarily lose out if it decided Not to give out freebies and let the players try to earn it the hard way by grinding. WOT is sparing some impatient players from spending real money to buy gold and standard credits. Personally I like good ideas and I appreciate good games. I have to admit I love this game so much. So by supporting this game, I get to enjoy it. That must be the "reward" I am getting then. Edited by RoneMok, 24 April 2015 - 08:49 AM. I've got free 2 days premium. 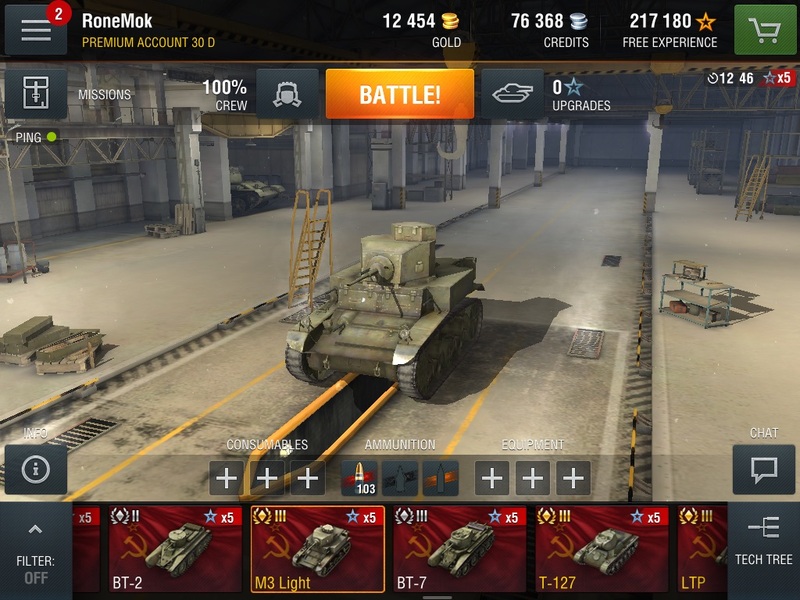 Garage space is going for a discount again, I suggest serious players to spend something to get more garage space so that they dont have to sell any tanks, big or small. 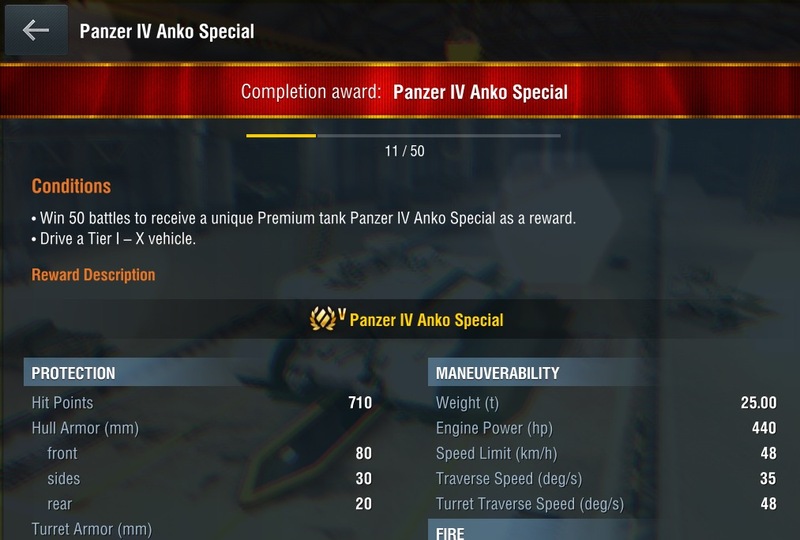 Cos every time you sell off a tank and then have to buy it back again, it would be a great loss of credits. Edited by RoneMok, 26 April 2015 - 07:02 AM. Today I went into my profile and I was given a gift of 250 gold credits. I think somebody mentioned this about two weeks ago but I cant remember. Edited by RoneMok, 26 April 2015 - 09:02 AM. http://imgur.com/FLkY8EP Meh... No hurry but why isn't my T1 elited? 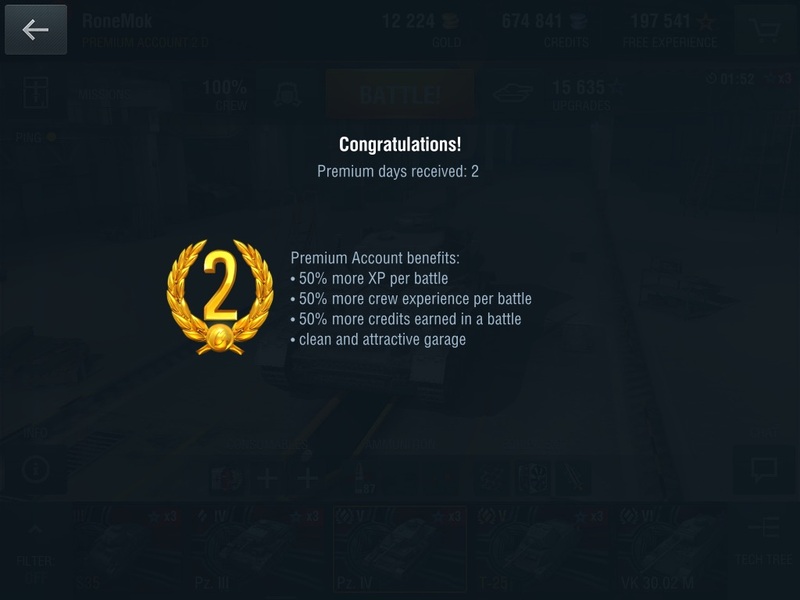 Just received 3 days of premium. I got my free M3 Light. Though WOT says to win 50 games... It is obviously a Christmas Gift. The 50 wins is just to separate the serious gamers from the "drop in once in a while" casual players. It was long long ago..... Probably expired gift.